Sadly the wait is over for the results on my full, and I was quite happily waiting thank you very much, but all good things have to come to an end, including my lessons in patience. The result wasn’t what writer hopes for, so that manuscript has been assigned a new position in my filing system and will never see the light of day again. One good thing comes with a rejection, and that is chocolate. I have to admit I’ll be taking a little break from writing (alright so I may not completely stop…) while I finish a couple of life’s more mundane projects, have an operation and consider certain aspects of my writing. I’ve been struggling a bit lately and I need to work out why, perhaps I’m in the wrong category, wrong genre, wrong career? Perhaps I really should have gone to business school? I’m joking, really I am. Well, I’m joking about everything but buying the local supermarket out of TimTams (if you don't know what a TimTam is we're talking serious chocolate biscuits). Is anyone else waiting on a submission? I’ve broken both my arms at the same time and think that I should be able to list my ability to do the washing up with plastic covers on my hands on my resume. I’ve broken a total of eight bones, all before I was fifteen, and was a little too thrilled to see hospital upgrades every time I visited the ER. I love chocolate but it makes me quite sick, and I think that puts me in the same category as people who eat shellfish even though the anaphylactic shock sends them to the hospital. I love to celebrate birthdays but I find it horribly uncomfortable when people want to celebrate mine and I will seriously considering being “out of town” if anyone should try. I don’t have a list of things I want to do before I die but if I did, learning how to make balloon animals would be at the top. I hate anything with numbers and will always try to get someone else to deal with them, if not, there are ten calculators in my home... that ought to do it. Actually, for the holidays I tried the joy of spray tanning. Wow. Big difference. It’s a shame that it’s not wearing off easily. I have these lovely streaks of white happening… I resemble a backwards tiger. 7. 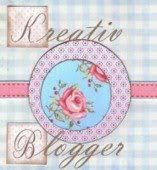 Anyone who hasn’t yet received the Kreativ Blog award and would like to! So now that I’ve spent an entire blog talking about myself I thought I might pop in a link to Julie Cohen’s blog on character arcs. I’m behind on my blogging, but having had a break from all things computer like I am now forced to wonder how my precious desk came to look as though I drove my car into it. The point here w as that it’s a New Year and you all know what that means, the dreaded ‘R’ word, and no its not “rabbits”, “Romans” or “running” – although I’m pretty sure I’m allergic to that last one – but “resolutions”. I’m a rebel. I’ve never had a New Year’s resolution. Although I should admit that my lack of resolutions doesn’t mean that the goal setting hasn’t occurred at some stage. My goals simply carry over into the New Year or new decade until I reach them but January does mean adjustments to the writing plan since I like to up productivity each year until I’m a super writer, able to leap tall stacks of paper in a single bound, or insane. Perhaps getting bitten by a radioactive spider would be a good first time NY resolution? How many manuscripts is everyone hoping to deliver to the sacred hands of an editor this year?